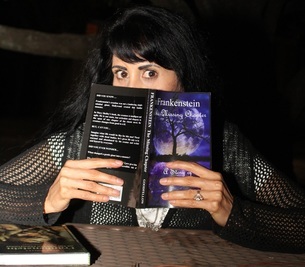 I am a Mary Shelley fan and love the classic novel. 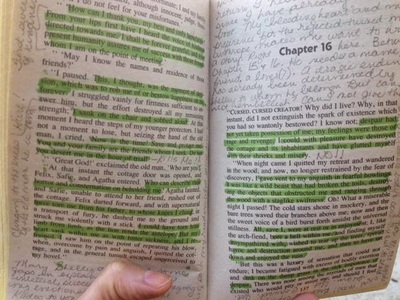 This is ‘my story’ built into Shelley's-- sandwiched between two of her chapters. Shelley's 15th and 16th chapters. ​ does not need to read Shelley's book to understand and enjoy it. 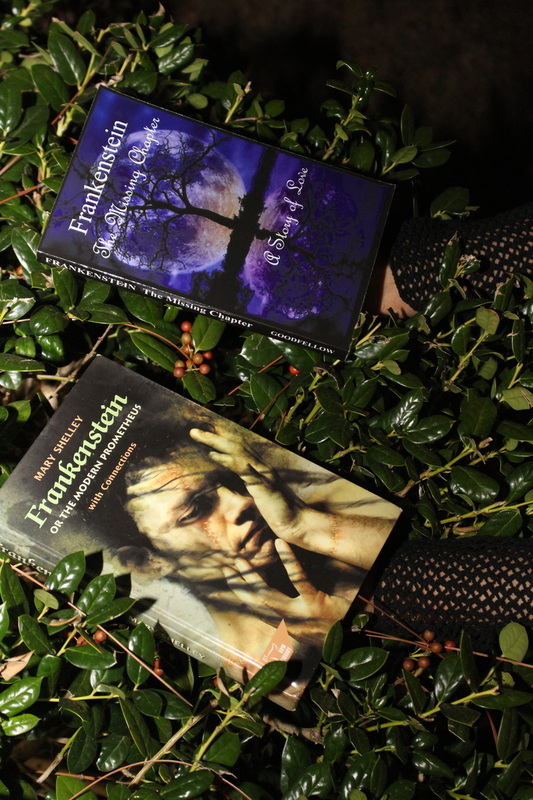 Although, many readers have gone back to re-read Frankenstein with a fresh perspective. 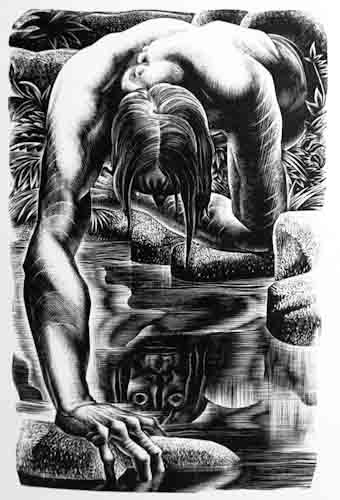 The Missing Chapter - A Story of Love begins with 'the monster' hiding in a hovel outside a cottage. The family he'd secretly been watching is fleeing in fear and horror after seeing him. The loss of the only human "companionship" he's ever known devastates him. Afterward, he lives a simple, sad existence until a woman named Angela unexpectedly moves into the cottage. Clearly, she's running away from someone. She's pregnant, frightened and alone. Through the crack he used to spy on the preceding family, he sees her struggle to survive and empathizes with her loneliness. ​​He anonymously brings her food, shovels snow, and stacks firewood on the porch. When her life is in danger, he makes himself known, saves her, and then disappears again. After months of living in squalor and with little shelter from the elements, 'the monster' becomes ill and Angela hears him coughing as he feverishly lies in torment inside his hovel. Following the sound of a coughing fit, she finds his hiding place. Angela eventually learns not to fear him based on his appearance. She nurses him back to health. Her tender care astounds him. No one has ever conversed with, read to, or even smiled at him before. He has never slept in a bed, eaten hot soup or touched another human being until then. He not only recovers, he falls in love with the kind woman. During the winter they spend together, he psychologically matures from a naive man-child into an adult man duty-bound and willing to fight to keep his new friend and her baby safe from those who pursue her. Despite Angela's warnings not to become attached, he believes the baby and Angela belong to him--they are the family he's been searching for. He intends to keep them. ​"I never thought anyone could make Frankenstein's Creature into a leading man, but Goodfellow has done it. I think I fell in love, too." "You will never think of Frankenstein's monster the same way again." "You're going to cry, but it will be worth it. Very worth it. It's the good kind of crying." "Kristine Goodfellow's novel The Missing Chapter - A Story of Love offers the creature a chance to tell his story, and what a story that is!" By EagleClan - See all my reviews Amazon Verified Purchase(What's this?) This review is from: The Missing Chapter - A Story of Love (Kindle Edition) The Missing Chapter is a beautiful story of love and suffering that truly touched my heart. Ms. Goodfellow does an amazing job of taking Mary Shelley's monster and giving him heart that just wants to belong and be loved. From the moment I began the first chapter to the last word, I was drawn into the world of the characters; their every thought and emotion became part of me. I highly recommend this book. Ms. Goodfellow is an incredible writer. You can tell she puts a lot of thought and feelings into creating her characters. The world needs more writers like Ms. Goodfellow! By Tigermousie - See all my reviewsAmazon Verified Purchase This review is from: The Missing Chapter - A Story of Love (Kindle Edition)I loved this book!! I haven't read Frankenstein since high school, but was not lost at all during my reading. I like the explanation Ms. Goodfellow came up with as a reason why the monster went from being gentle to the monster that everybody is familiar with. It makes it much easier to sympathize with the monster. I look forward to rereading this book in the future!! By Georgia Catoe - See all my reviews Amazon Verified Purchase(What's this?) This review is from: The Missing Chapter - A Story of Love (Kindle Edition) This book even better than the author' last. She made the monster so sympathetic and believable. I particularly enjoyed the monster's poetry. I am looking forward to Ms. Goodfellow' next book! By KathleenFormat:Kindle Edition|Amazon Verified PurchaseI just finished reading Kristine's "The Missing Chapter-A Story of Love" and I LOVED every minute of it! She paints the "monster" in a light that creates sympathy and interest in the character. Her story of how he came to be who Mary Shelley created is believable and at times enchanting. I am so glad that I read this book and highly recommend it for others. I can't wait to read Kristine's next novel! By trisha Format:Kindle Edition|Amazon Verified PurchaseThis story captivated my interest from the first chapter to the end. This author indeed grabs your attention assuring the reader with the detailed drama as it unfolds. She described the feelings and emotions of the characters so clearly you can "feel" right along with them. A beautiful depiction of this misunderstood monster. She has the unique and gifted ability to enhance this story to the fullest. Fantastic job through and through! Indeed this warrants FIVE STARS! By Amber WallaceFormat:Kindle Edition|Amazon Verified PurchaseI just finished reading the Missing Chapter and I loved it! I have to admit... I have never read Mary Shelley's Frankenstein... It just didn't seem like the kind of book that I would like. But Goodfellow did such a great job setting up this story that I felt like I wasn't missing a thing. This book does a wonderful job making you feel connected to the characters. After reading it... I sympathize with the "monster", I can picture him, I feel like I know him. 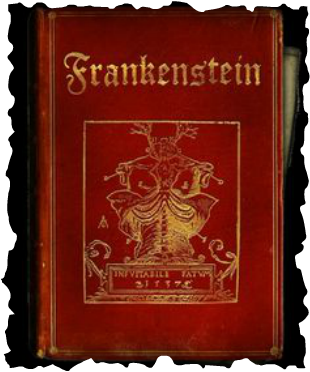 I actually want to go read "Frankenstein" now to see what happens next. Thank you Kristine for another book that just makes you want to keep reading it and not put it down!